Putin also said the relations between the two states keep developing in a "friendly and constructive manner"
TOKYO, August 15. /TASS/. 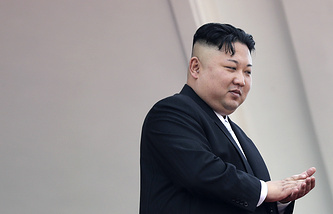 Russian President Vladimir Putin said he was ready for a personal meeting with North Korean leader Kim Jong Un, the KCNA news agency reported, citing a congratulatory telegram from the Russian leader on the occasion of the Liberation Day, marked by the two Koreas on Wednesday. "I assure you that I am ready to meet you in the near future to discuss pressing issues of bilateral relations and important regional problems," the agency quoted the telegram as saying. Putin also said the relations between the two states keep developing in a "friendly and constructive manner." He expressed hope that Moscow and Pyongyang would "consistently develop mutually beneficial cooperation, including the implementation of the three-party program involving Russia, North Korea and South Korea." The Liberation Day, celebrated annually on August 15, marks Korea's independence from the 1910-45 Japanese colonial rule. Earlier, Putin has invited Kim Jong Un to visit Russia. 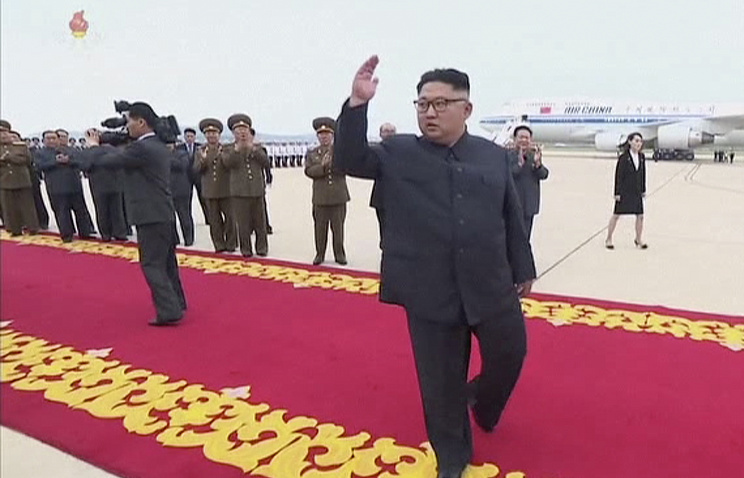 According to the Russian leader, his North Korean counterpart could attend the Eastern Economic Forum due in the Far Eastern Russian city of Vladivostok in September, or pay a separate visit. Kremlin spokesman Dmitry Peskov said in early July that Kim Jong Un is yet to confirm his participation in the forum and meeting with Putin.